The Interdisciplinary Network for Group Research (INGroup) honored UCF Trustee Chair and Professor of Psychology, Dr. Eduardo Salas with the group’s Joseph E. McGrath Award for Lifetime Achievement in the Study of Groups. The award recognizes the recipient for “scholarly contributions to the understanding and improvement of team performance.” Dr. Salas holds a joint appointment at IST where he is program director of human systems integration research. 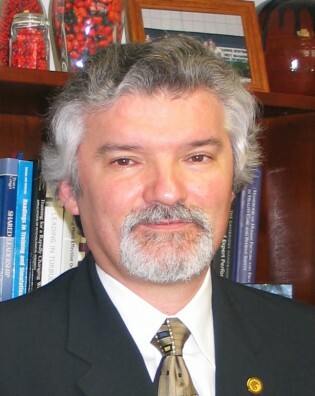 The INGRoup selection committee based their selection on four ways in which Dr. Salas’s research record is noteworthy: (1) the “sheer number of … co-authored journal articles and books,” (2) the quality of contributions, based on citations produced, (3) the multidisciplinary reach of contributions across disciplines and (4) practical application of scholarship in military and industry. Award recipients are granted lifetime membership in INGRoup plus an invitation to address the group at a subsequent meeting.